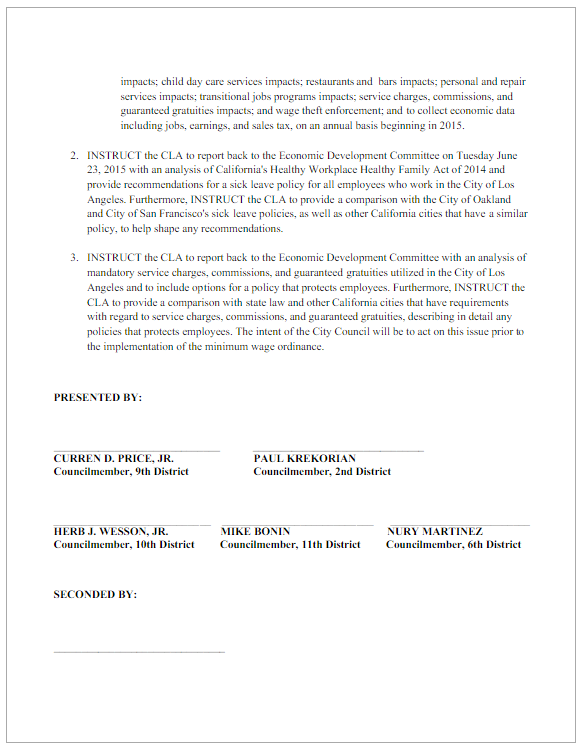  Beginning in March 2015, a group of local restaurants formed the Los Angeles Independent Restaurant Coalition / Neighborhood Restaurant Coalition. 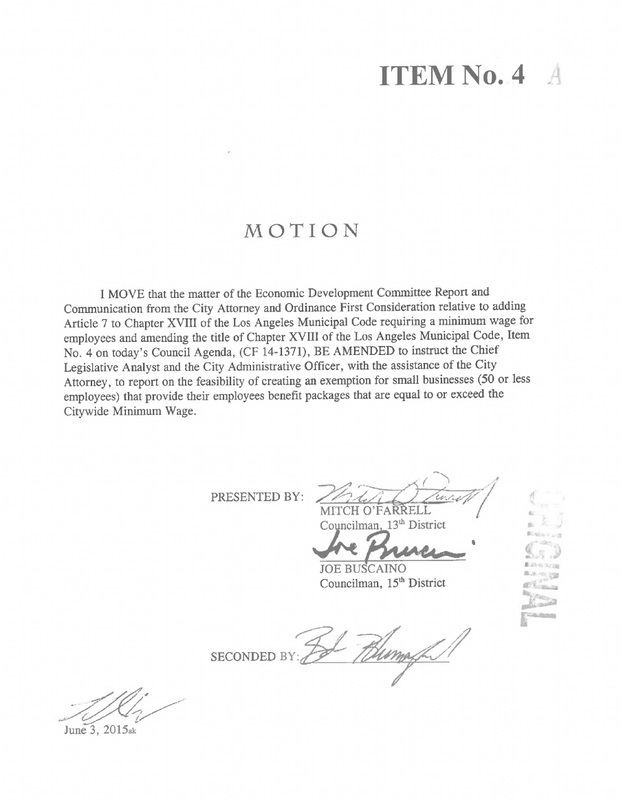 Our mission was to positively influence the City of Los Angeles’ minimum wage ordinance to help protect independent restaurants and their employees, while smartly increasing the wage. 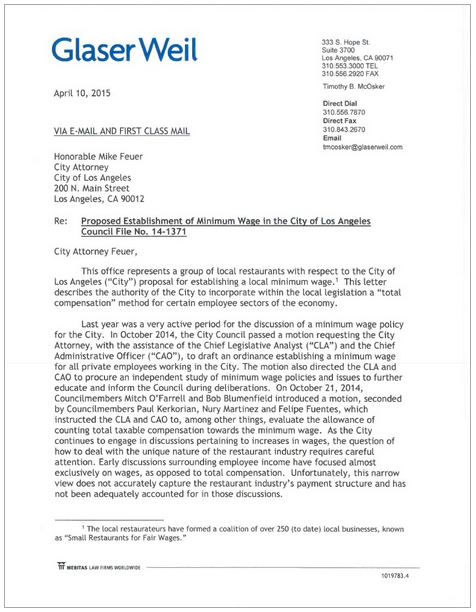 While our efforts to achieve a “total compensation” model for tipped employees were ultimately not adopted by the City Council we raised a number of issues. 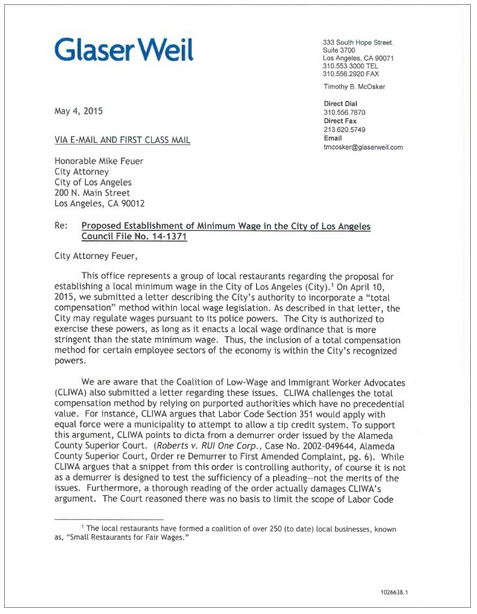 What we discovered is that restaurants, their employees, and all of our small businesses have very little power in the City Council as compared to the huge influence of the wealthy Labor Unions. 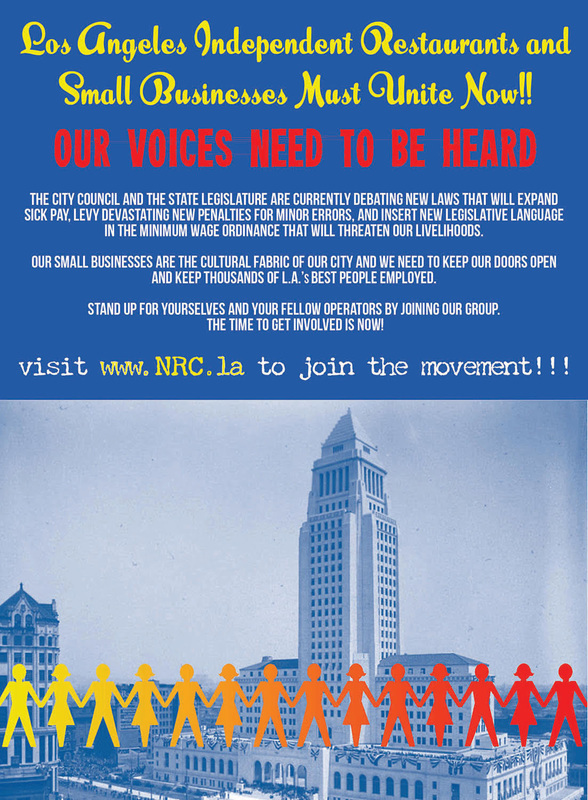 Small business owners are people too. 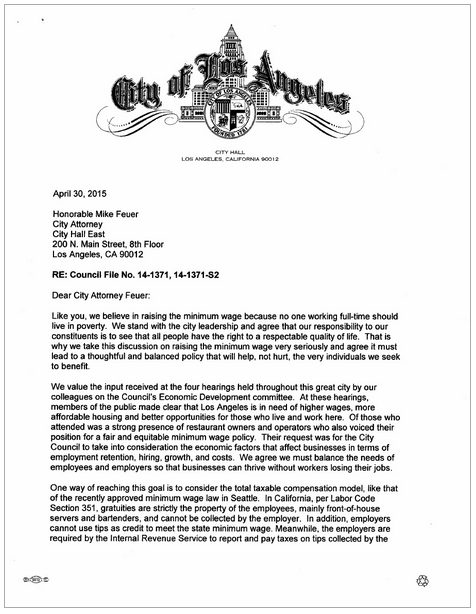 They work hard to open and maintain their businesses amongst a constant barrage of poor legislation, new levies, higher costs, a broken workers compensation system, and much more. 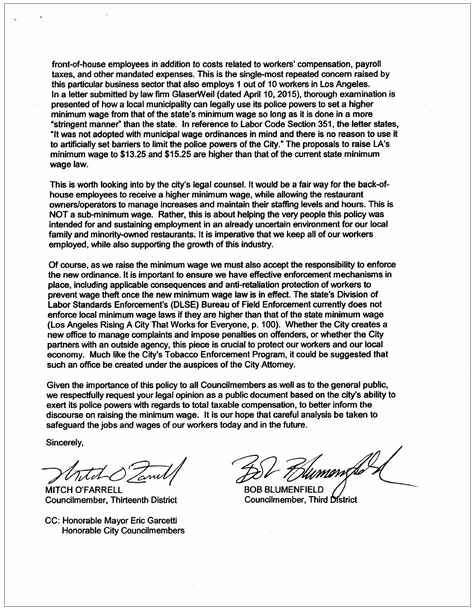 The unions have done a magnificent job with a multi-million dollar public campaign of business vs. labor, but that is not the case. 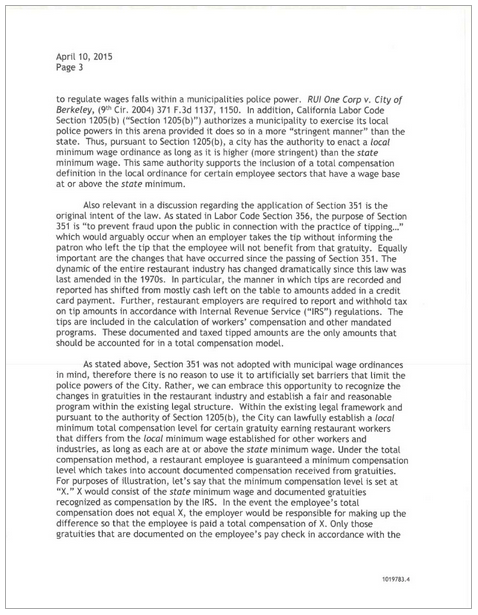 1) Correcting the penalty language in the new wage ordinance and relieving the continued criminalization of small businesses, which allows for a slew of costly and disastrous results. 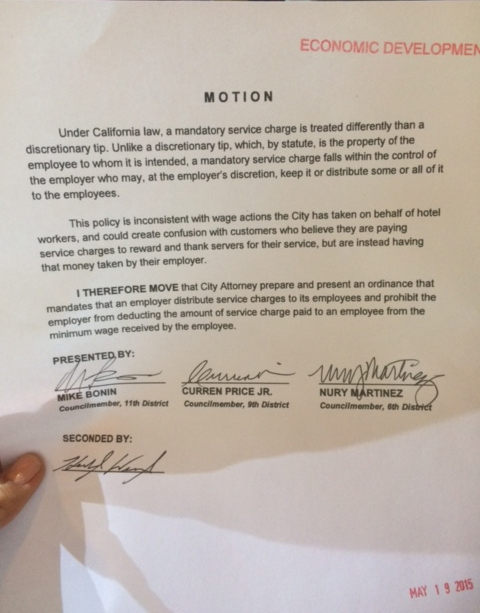 2) Allowing for the California sick day measure, which goes into effect for the first time on July 1, to be implemented and tested before adding any new burdens. 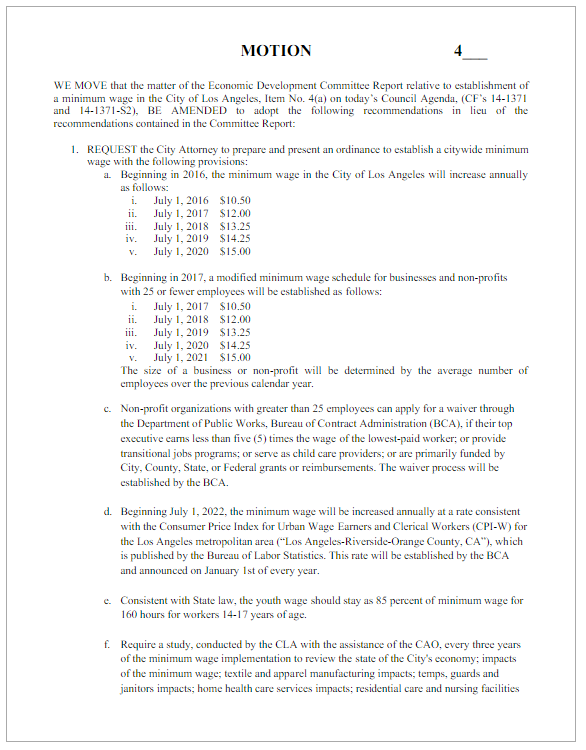 Aside from the obvious financial effects, the operational aspect of perpetual last minute employee scheduling will prove impossible. 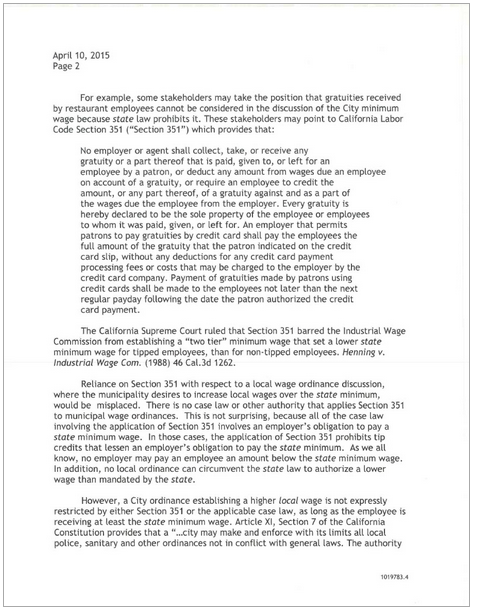 3) Protecting the rights of restaurants and all businesses regarding service charges, especially amidst the new rising costs of the single largest expenditure to a small business. 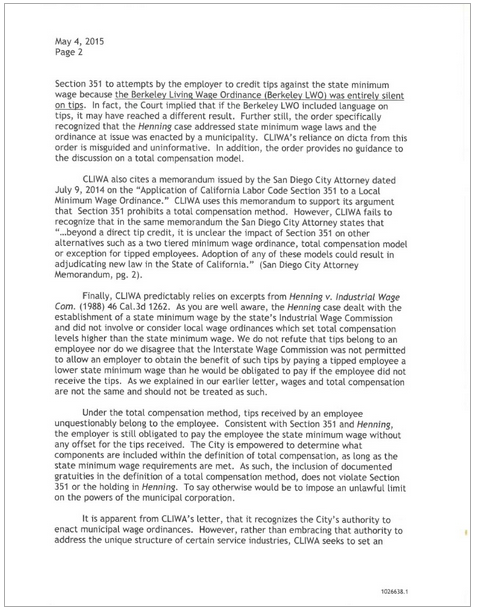 4) Not allowing for union manipulation of the city council and the city attorney, by providing a sub-minimum wage to union workers, through a collective bargaining agreement. 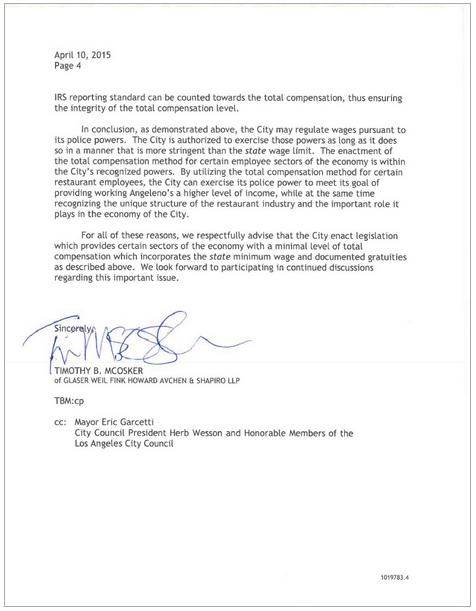 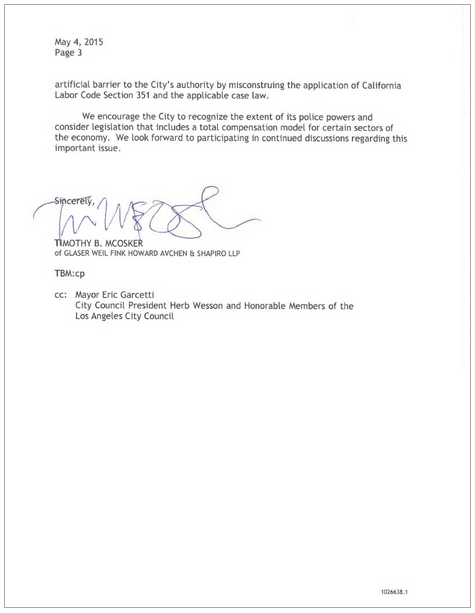 LETTER FROM TIMOTHY B. MCOSKER OF GLASER WEIL, TO THE CITY ATTORNEY REGARDING TOTAL COMPENSATION.